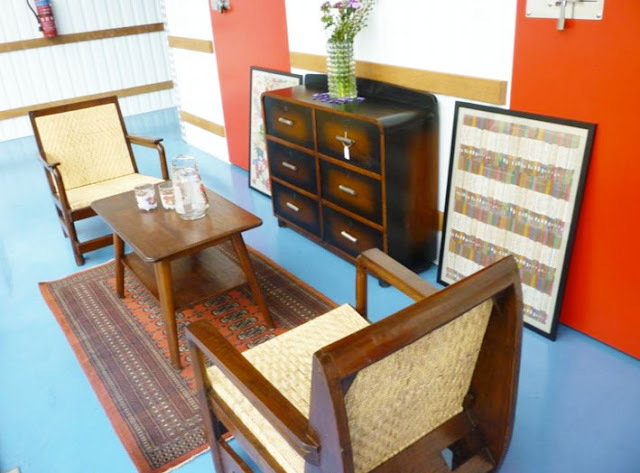 Mad About Vintage is a store selling preowned vintage furniture, the business was started by a collector named Nurhana Jamaludin. His store features many different types of vintage furniture (mostly wooden), from desk, dining tables and chairs, dressers, racks and kapstoks, lounge chairs, lounge settees, to storage cabinets. The items at Mad About Vintage are usually priced in the hundreds of dollars, smaller items like chairs can cost $200 and more, bigger furnitures like desks can cost over a thousand dollars. Customers who are interested in buying the items must first reserve it online, then they’ll need to contact the seller in order to view the product in person. If you wish to buy the furniture, only cash payment is accepted.